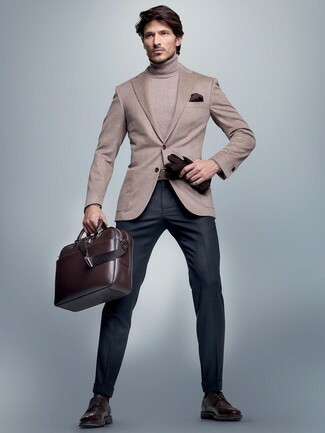 We're all ensembleing for comfort when it comes to dressing up, and this combination of a camel overcoat and a Moore & Giles haythe leather briefcase from Nordstrom is a practical illustration of that. 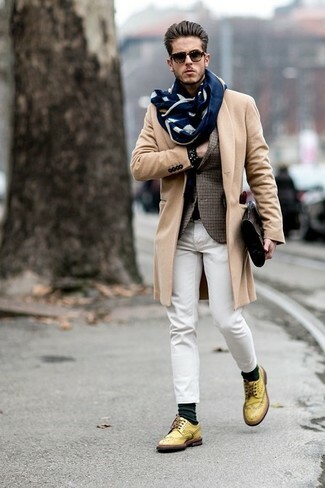 Kick up the cool of your outfit by rounding it off with yellow leather brogues. If you prefer relaxed dressing when it comes to your personal style, you'll love this on-trend pairing of a dark green check wool blazer and a Moore & Giles haythe leather briefcase from Nordstrom. Spruce up your look with dark brown leather double monks. Marry a beige blazer with a Moore & Giles haythe leather briefcase, if you want to dress for comfort without looking like a slob. 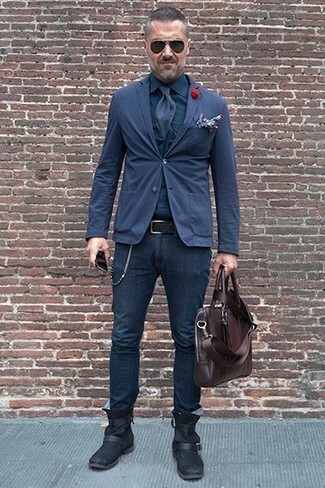 Rocking a pair of dark brown leather brogues is an easy way to add some flair to your look. 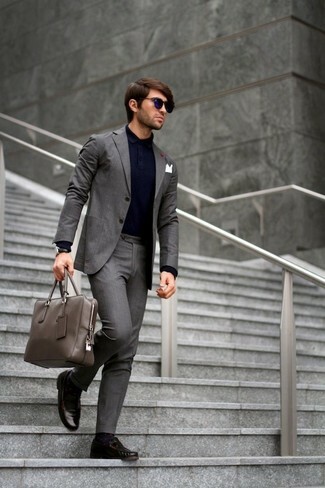 If you're looking for a casual yet stylish getup, go for a grey suit and a Moore & Giles haythe leather briefcase. Both items are totally comfortable and will look great together. 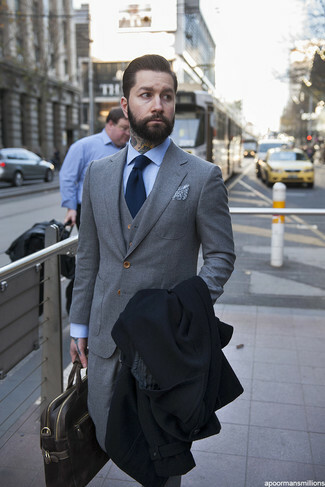 When it comes to shoes, this getup is round off nicely with dark brown leather driving shoes. 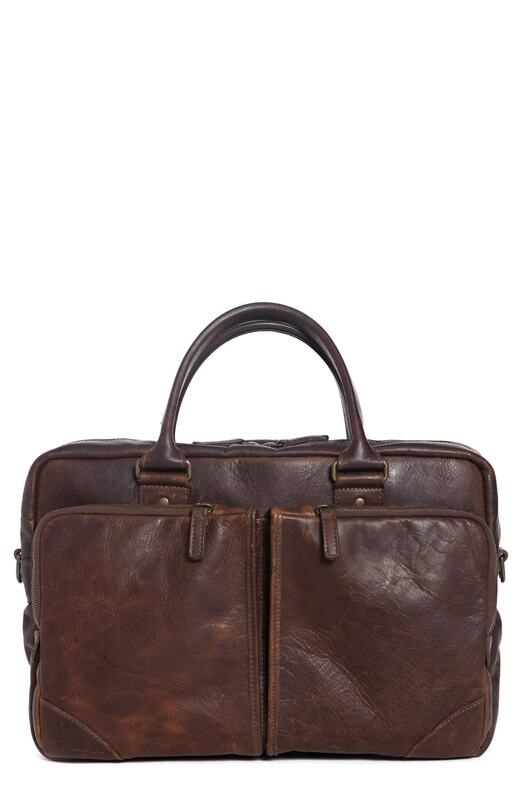 If you're all about relaxed dressing when it comes to fashion, you'll love this stylish combination of a navy cotton blazer and a dark brown leather briefcase. To add more class to your ensemble, round off with black leather chelsea boots. 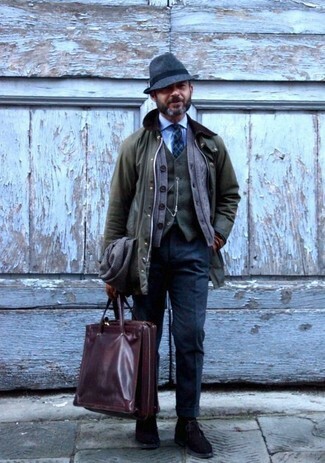 We all getup for comfort when it comes to dressing up, and this combination of an olive barn jacket and a Moore & Giles haythe leather briefcase is a practical illustration of that. Turn your sartorial beast mode on and opt for a pair of dark brown suede desert boots. 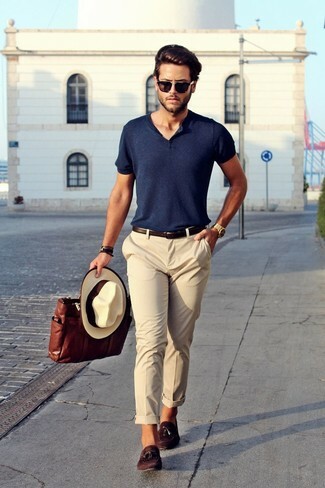 If you prefer relaxed dressing when it comes to your personal style, you'll love this simple pairing of a navy henley shirt and a Moore & Giles haythe leather briefcase. Let's make a bit more effort now and go for a pair of dark brown suede tassel loafers. We're all looking for comfort when it comes to dressing up, and this combination of a black overcoat and a Moore & Giles haythe leather briefcase is a perfect example of that. 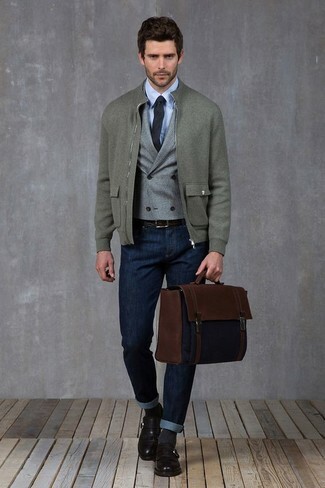 We're all looking for comfort when it comes to dressing up, and this combination of a grey wool bomber jacket and a dark brown leather briefcase is a good illustration of that. Channel your inner Ryan Gosling and rock a pair of black leather monks to class up your outfit.